There are a whole bunch of things that have become more important to me since I became a mother in September 2011. Some of those things include my savings account, my proximity to a bathroom at all times, sleep, comfortable pants, and feminism. It's not that these weren't important to me beforehand. In fact, even before I popped out a couple mini-mes, I would say feminism in particular was a defining aspect of how I saw myself. But with the entry of my children into this beautiful and terrifying world, all of the aforementioned items have become crucial not just in my life, but in my ability to provide my kids with the best possible life they can have. Like coconut oil, feminism is a tool that has the ability to fix or at least ameliorate a lot of the problems my children will come up against, and I want to put that sh*t on everything. I guess you could say that motherhood hasn't really changed my relationship with feminism so much as it has deepened it or added another dimension. Certainly feminism frequently meets at the intersections of many other social and cultural issues concerning women, children, and men, so it stands to reason that motherhood would be no different. Here are some of the reasons having children might encourage you to look find feminism increasingly relevant (or at least approach feminism from different perspectives). Whether it's years of being trained to accept less than we deserve by the powers that be or comfortable complacency, many women will sooner fight for their children to be seen and treated as equals than they will fight for themselves. It's the same instincts that lead us to give them only the best cookies that weren't burned in our disastrous baking accident, or to make detailed plans with their teacher about how to help them improve in math when we are absolutely horrified to talk to our bosses about even the most well-deserved and long-overdue raises. When you're raising a child, for better and for worse, you often get to relive aspects of your own childhood as you see the world and experience familiar things through their eyes. 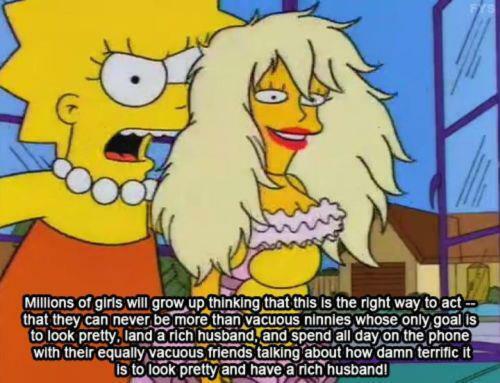 This includes the sexist, ugly aspects of your childhood that you may not have recognized as such in the moment, but that are now crystal clear. Not only do you want things to be different for your kids, but there may be a part of you that wants to vindicate the past in some small way. Needlessly gendered toys are running rampant — rampant I tell you! — and it's absolutely ridiculous. Looking back to my own childhood, there were so many toys I wanted that seemed out of reach because they were marketed exclusively to boys. But what girl of the '90s didn't want a Super Soaker or a TalkBoy? But it's not just toys: Clothes, TV shows, and general social attitudes that tell us things like "boys will be boys" and girls are "prettier when they smile" are saturating our kids. All of a sudden, feminism takes on added importance because we want to counter that. There is something incredibly invigorating (and scary) about working with a tabula rasa. Kids don't have concepts of sexism. At the very least, they're not born with them, and the desire to keep them shielded from them for as long as possible is extremely difficult, but a powerful incentive. All of a sudden, a mom who makes 54% of what a white man does, that horrifying and unfair statistic isn't just about you or your community of fellow women anymore — it's affecting your baby. Suddenly, life has become higher stakes, and realizing feminist goals and effecting positive social change is a way to make those odds less scary. We want our children to dream big and feel empowered to achieve their loftiest goals...but we know how many barriers exist, especially for our girls. Women are underrepresented in leadership positions and particular industries. Add this to the list of things we feel we need to change before our kids grow up and have to face this discrimination. Free from labels. Free from expectations as to how they should behave, what they should want, and who they should be simply because of the gender they were assigned at birth. We're their mothers, and we know how much they have to say and offer the world — and we don't want anything to get in the way of people seeing them as well-rounded, complex human beings. Being a mother might not change you...or it might profoundly change you; how you see yourself, and how you've viewed your priorities up until now. You never know how it's going to go for you until you're there. As mentioned above, we're often more willing to fight for our babies than for ourselves, but occasionally knowing that we are our children's mother gives us a boost to feel like we're worth more than we've been settling for. We want to teach our children how to be good people and to treat people with compassion and respect, which is basically, when you boil it down, the core principle of feminism. Everybody gets respect. Feminism is like it's Oprah's Favorite Things day and she wheels out a big cart of respect and then tells everyone they're getting it. And then she laughs delightedly and everyone freaks the hell out. As you accrue more and more life experiences, hopefully, they are mostly beautiful. But, chances are, the longer you live, the more you are going to experience sexist crap and think to yourself, "Jeez. Still? Still?! We still have to deal with this?" I frequently find myself disheartened and exhausted by the myriad ways women's rights are being erased. But being a glass-half-full kinda gal, I also look at the progress that has been made since I was a kid and think. "OK, there's hope. We just have to keep soldiering on here." It's basically the first of the Mom Commandments: If you want something done right, you've got to do it yourself. We don't have the luxury of waiting for someone else to make all these changes for us anymore. We've gotta step up.